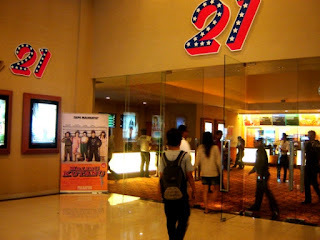 CINEMA 21, is the largest cinema group in Indonesia which started their work in the entertainment industry since 1987. Over 28 years, CINEMA 21 is committed to always provide the best experience and a pleasure to watch for the people of Indonesia. Up to August this year, CINEMA 21 Ayar has a total of 851 spread across 35 cities in 156 locations throughout Indonesia. In addition to presenting films the work of the nation, CINEMA 21 films, is also world class. CINEMA 21 continues to follow the development of technology to complement its facilities such as 2D and 3D. In 2012, CINEMA 21 has presented watching experience with a revolutionary technology that is an IMAX theater. Now there are five IMAX theaters owned by CINEMA 21, which is located in Gandaria City Mall, Mall Kelapa Gading, Summarecon Mal Serpong and the most recent in 5 Tunjungan Surabaya. To enhance service to the audience, was present also the cinema with cutting-edge audio system "Dolby Atmos" that now exist in the 41-screen Cinema XXI.